Most of us like to believe that we have some kind of plan to what we do in our lives. It gives us a sense of purpose, makes us more confident about the future and also enables us to enjoy the fruits of our planning. We were raised with all those glib adages about planning and being prepared that came to us not just from our parents, but from all the older people we bumped into in our teens and 20s. Thus, by school’s end, we had better have decided on college courses; by college-end, we had jolly well have equipped ourselves to launch into a career ... and so on. While our parents fed us stories of their siblings and friends to illustrate how planning made all the difference, they also told us how they had to set about earning a living early, given their family circumstances. Without intending to, this bred in us a desire to be economically independent as soon as possible and we threw inclination and aptitude (and planning and forethought) to the winds in pursuit of quickly “getting settled” in our jobs — and thereafter everything else seemed to go along those ‘Just Do It’ lines. When it came to marriage, we did plan a bit — mostly trying to strike a balance for the ceremonies — but the rest of it was more in the nature of wishful thinking and happy dreaming than actual concrete planning, preparing or organising for a change in our situation. Later, when we expanded our family with a quadruped before we had a child, we gave no thought to how that quadruped would react when a child arrived on the scene and it had to share our affection, attention and time, and we certainly did not consider for even a moment whether we had the financial means to cover the costs of a large dog and a child and our frequent journeys to remote parts of the country with all the paraphernalia that both of them entailed. We just managed. We didn’t give them the “best” that was available in the market (mostly because we didn’t know what was available in the city markets, cut off as we were in all those rustic areas), but we gave them the best of ourselves. Today, however, everything seems much more cut and dried — and yes, well-planned. 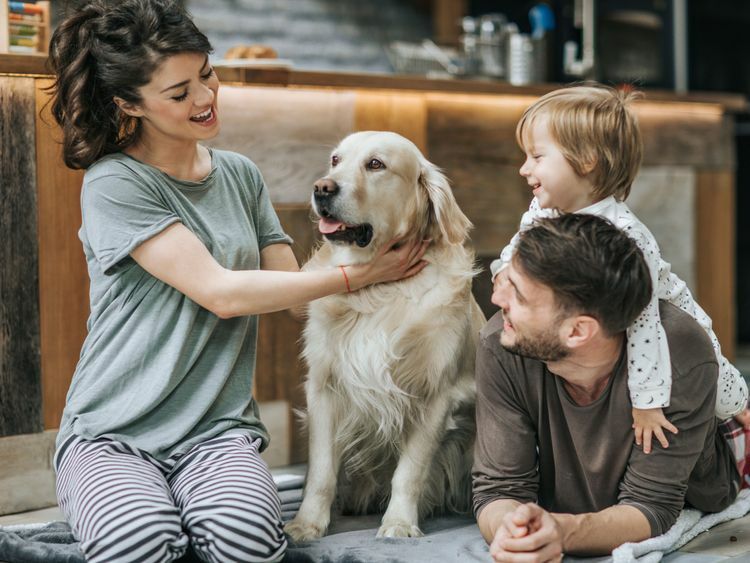 In newspapers, magazines and online, there are detailed guidelines to what one should know before getting a pet, what kind, what breed, what size of pet one should choose to make sure it matches one’s nature and one’s home, etc. There is even more detailed advice about babies and how to prepare to be parents and I go through all of it with awe. Did we give any thought to even one of those points before the arrival of either our pet or our child? Did we care about our age, the size of our homes, the depth of our pockets, or our ability to continue with our careers and our lives as before? If we had, would we have gone ahead and jumped into the fray. Perhaps, crossing our bridges when we came to them, rearranging our lives when required and not looking at every aspect before leaping, kept our spirit of adventure alive and helped us enjoy the challenge — and the fun — of those unplanned years.